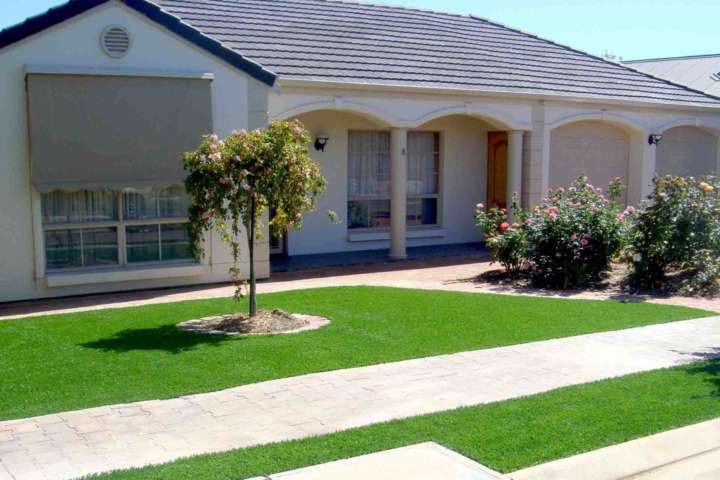 FAQ: Can I install artificial lawn on the verge or nature strip outside my house? We have installed artificial lawn on plenty of council verge and nature strips. However, we do suggest you reach out to your council and request written approval to do so. At the same time, it’s a good idea to ask them whether or not there are any underground pipes or internet cables that you should be aware of. To ensure the artificial grass installation goes as smoothly as possible, we also recommend you ask about any issues regarding pedestrian safety.You might be held liable if a careless pedestrian trips because they weren’t watching their step! Artificial grass is a great option for nature strips. It adds to your home’s kerb appeal and it looks much tidier than any alternative. On top of that, you won’t have to watch it grow while you wait for the council to mow it! PrevPreviousHow do I prevent weeds from growing through my artificial lawn?